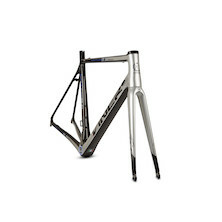 At Planet X we love cycling in all its shapes and forms, from pootling about in the mud to the serious business of men's elite level UCI road racing on the European circuit. So when Team IDEA 2010, based in Milano, Italy got in touch with us looking for a primary equipment sponsor for their assault on the 2015 race season it's fair to say that we jumped at the chance. Team IDEA 2010 were founded back in 2010 and have a roster of 13 riders, 10 riding in under 23 and 3 riding at Elite level. They are currently ranked 8th in the UCI European Tour and Davide Vigano is the 6th ranked rider so far at the start of the season. The team has a rich racing pedigree which has seen many of their riders move onto successful careers with UCI World Tour teams including Andrea Palini and Luca Dodi. Team IDEA have also spawned national champions over the years with several of their riders wearing the "maglia azzurra" national jersey in different events over the years. It should come as no surprise to find out that Team IDEA is steered by a former top flight UCI International pro-rider. Alberto Elli brings years of racing and training experience to the table and of course it doesn't hurt to have an Italian racing legend as your team principle when you are securing new sponsors. Having worn the Yellow Jersey in 2000 Tour De France for four days, Alberto knows all about the trials and tribulation of life as a pro cyclist. We caught up with Team IDEA at the start of the season and posed them a few questions about the team, their plan for the season and a little about Alberto's background in cycling. Q. What is the plan for the season, what goals have you set for the team? We're looking to build and shape a winning team. We have to do it from the ground up as most of the riders have never raced together before on the same team. We've worked hard during the winter training camps, helping the lads to get to know one another, to start working as a cohesive unit. It's a balancing act bringing on U23 riders with the more experienced racers. Ideally everyone benefits and we end up with a team that sticks together for a few seasons and starts winning some races. Q. Is the team strong in one particular area, sprint, climbing, TT? We can say our team is well-composed, complete as a whole, as it is made up of athletes, which will stand out in the sprints as well in the mountains. Q. What events do you think you can win? We don’t have a particular race that we would like to win. All Italian races are all important for us, as well as the other European ones that we will ride. Let's say now we have an eye for "Coppi e Bartali". Q. How many of your U23 riders stay with the team? We don’t have a clear separation between U23 riders and other ones. They just get one year older, we don't suddenly expect them to move on at that point. This is an important innovation of the continental organization. The unique difference is that younger riders have a soft calendar, with less races and slightly lower expectations on them in pro-races, respecting their studying needs, because this is very important for our team. This is a great opportunity of growth for them. Q. Have any national champions ridden with Team IDEA? Yes, we have a lot of former National Champions and Vice-Champions of the young categories, obtained in several specialties: road, ITT, track and cyclocross. Most of them rode with the “maglia azzurra” too, the national team jersey. Q. Which riders have moved into UCI World Tour teams? I guess you mean which riders from previous Team Idea line ups. There are two Team Idea riders who signed for WT teams: Andrea Palini and Luca Dodi. But many others signed for various Pro Continental Teams. In the meantime, as you well know, we have two riders who rode in WT Team: Francesco Reda and Davide Viganò. It goes both ways riders move across between the WT and the Continental teams. Q. Why did you choose Planet X as an equipment provider? I got to know Dave (Planet X owner) through his various dealings with members of the Italian cycling trade. He spends a lot of time out here sourcing components and he's well known and respected in the trade. I was introduced to him through an ex-pro rider acquaintance. It's obvious how deep Dave's feeling for cycling is; he lives it and loves it. He has that entrepreneurial spirit as well, always willing to make a deal. Now that Planet X look after the Viner brand we felt that there was a good link. Planet X are a big brand with a global reach that's a great help for us, we've befitted greatly from having Viner onboard as our primary equipment sponsors. Q. Was the fact that Viner has a rich Italian racing heritage important in signing up with Planet X? 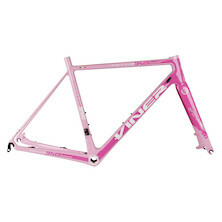 Viner are a historical Italian firm with a big racing history on the road and on the track. They're a prestigious brand and for us that was important. But product quality counts far more than country of origin. We hope we can contribute to Viner's continued growth; they are a world class marque who deserves to do well. Q. The team rides Campagnolo rather than Shimano or SRAM, was that a positive choice? Does it help finding local sponsors in Italy if the team are viewed as being an 'Italian team' using all Italian bikes and componentry? This could be a point of view of the past but the cycling market is considerably more international now. The technical competition is quality based and not related to the nation of production or concept. In the meantime riders and teams have supporters worldwide. Cycling is and always was an international sport, more so now than ever. Q. Alberto, how did you make the transition from rider to director sportif? The change in roles was almost natural ... after many years spent riding a bicycle it was like a one way road. I got a call from Team Barloworld and I immediately accepted. At first it was a strange feeling to be back at races but no longer inside ... I often wanted to be with them to pedal and give advice directly from inside the race rather than from the team car. It's a role I've grown to love however, nurturing new talent brings its own rewards. We'll be following Team IDEA throughout the 2015 season and reporting back on their trials, tribulations and successes. We wish them all the best. here's a headline of their results so far this season. 15/3/2015 - Last stage of Istrian Spring trophy: Malucelli and Viganò 2nd and 3rd. 07/03/2015 - Porec Trophy: Marco Tizza 10th place in a heavy bunch sprint. 21/02/2015 - Coppa San Geo: Marco Tizza 5th.